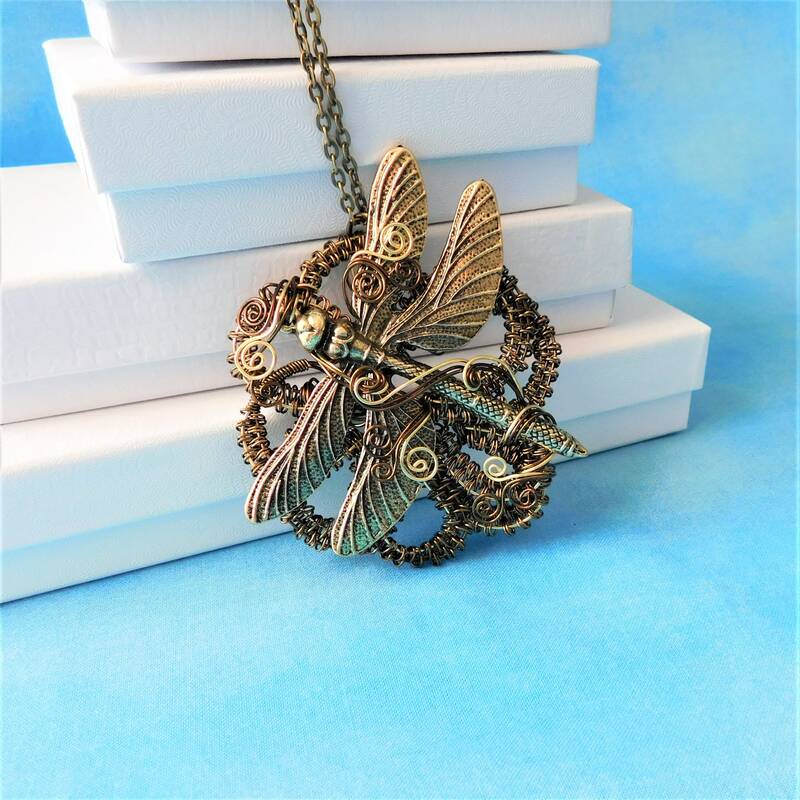 Non tarnish vintage bronze colored copper and brass wire are hand off-loom woven and sculpted in the shape of a very large flower. 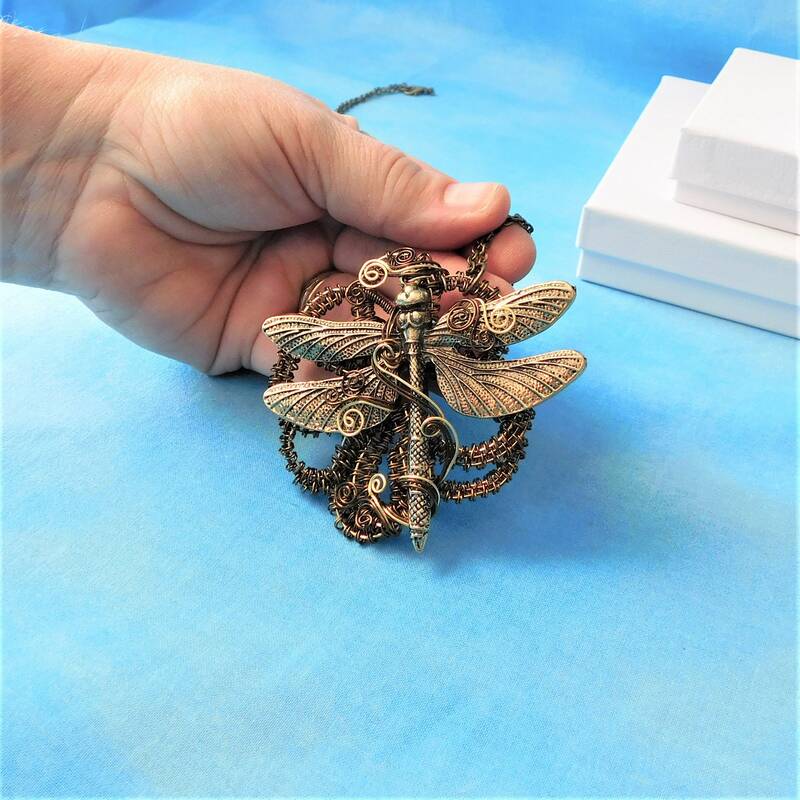 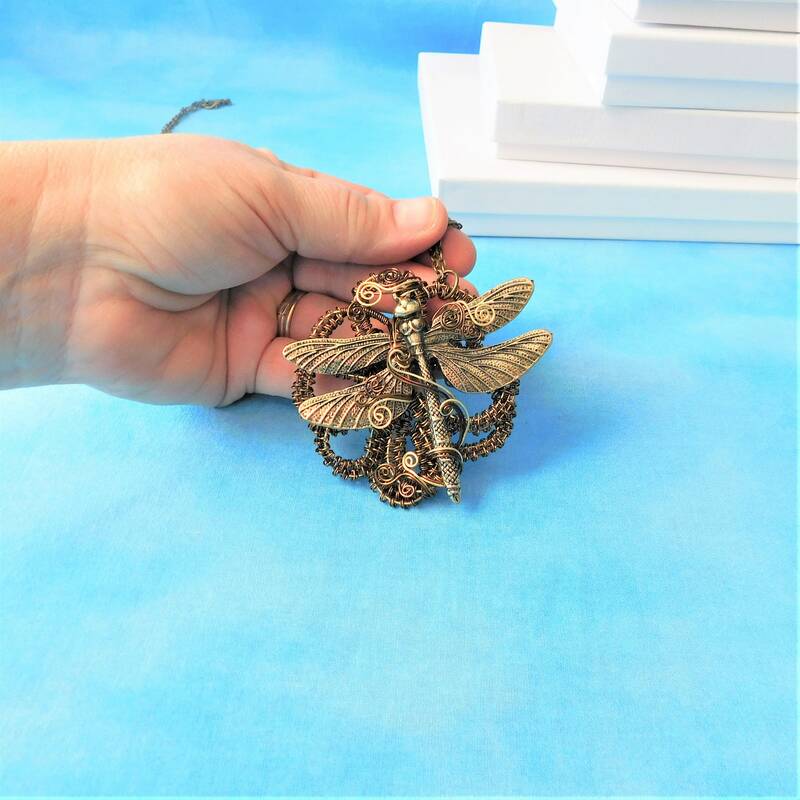 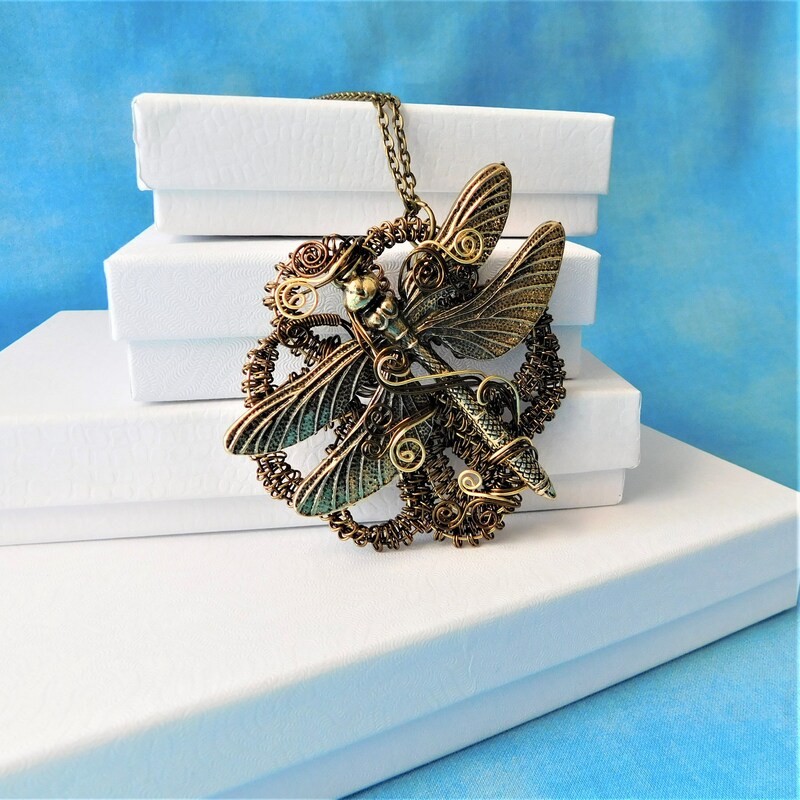 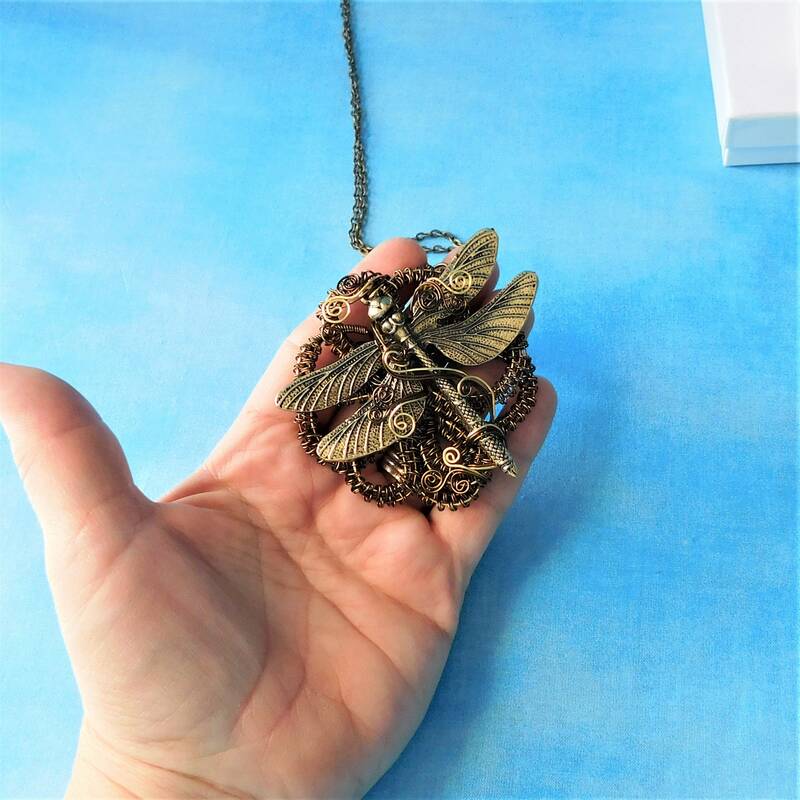 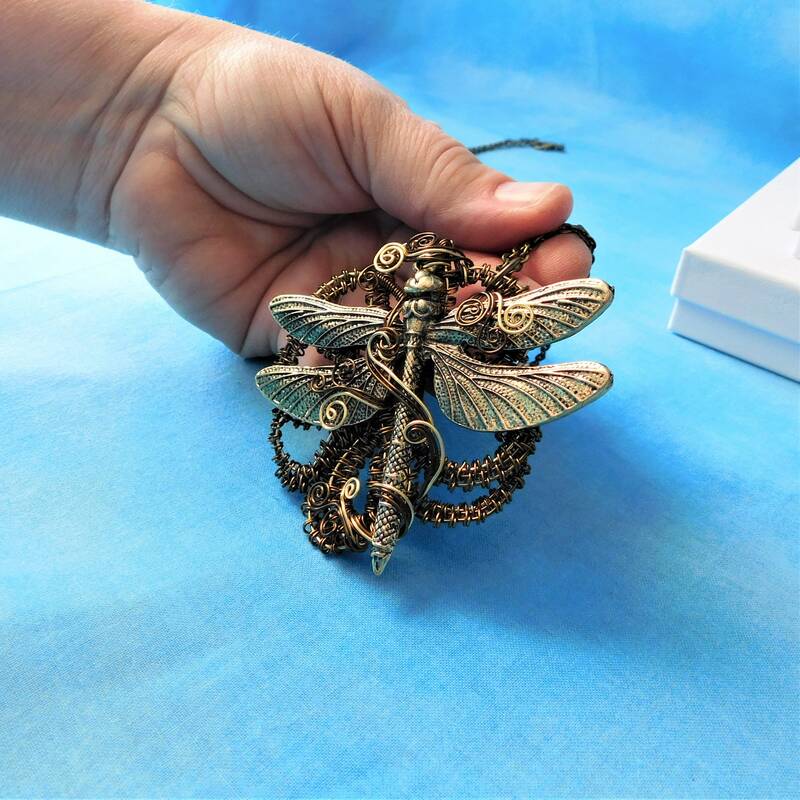 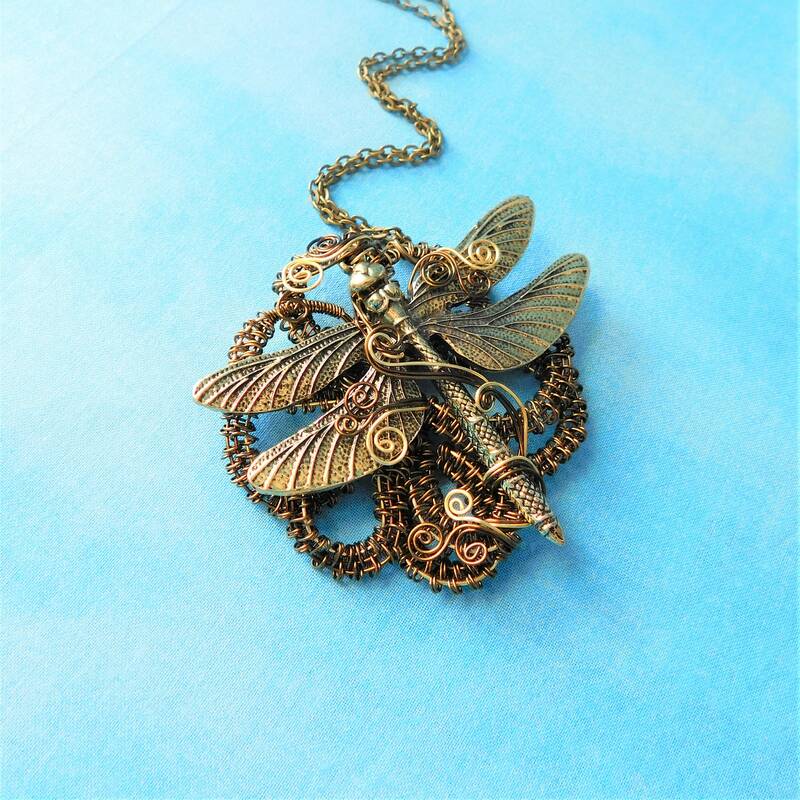 A large brass colored dragonfly hovers in the center. 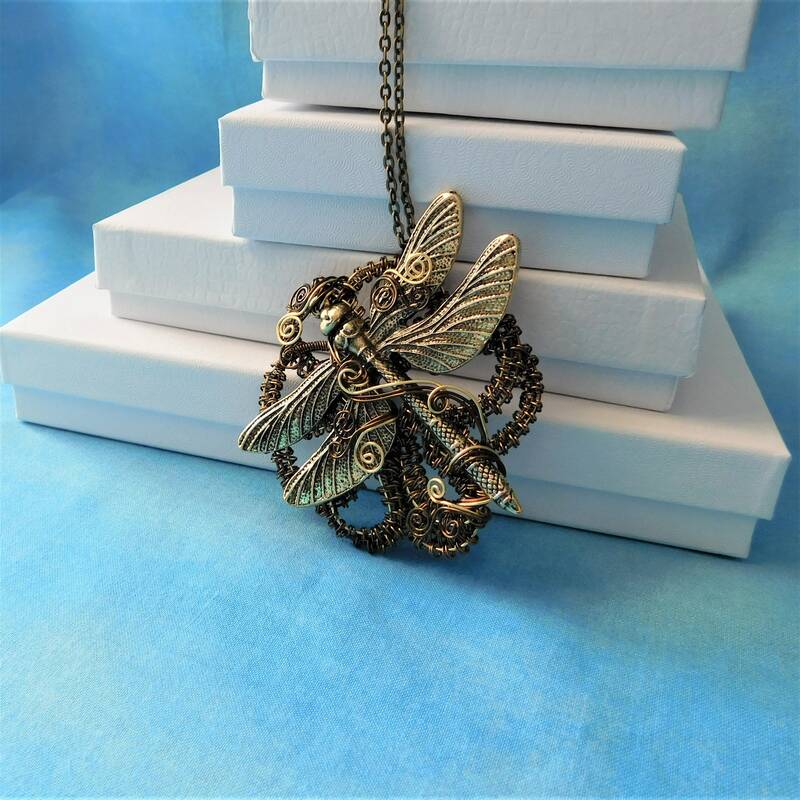 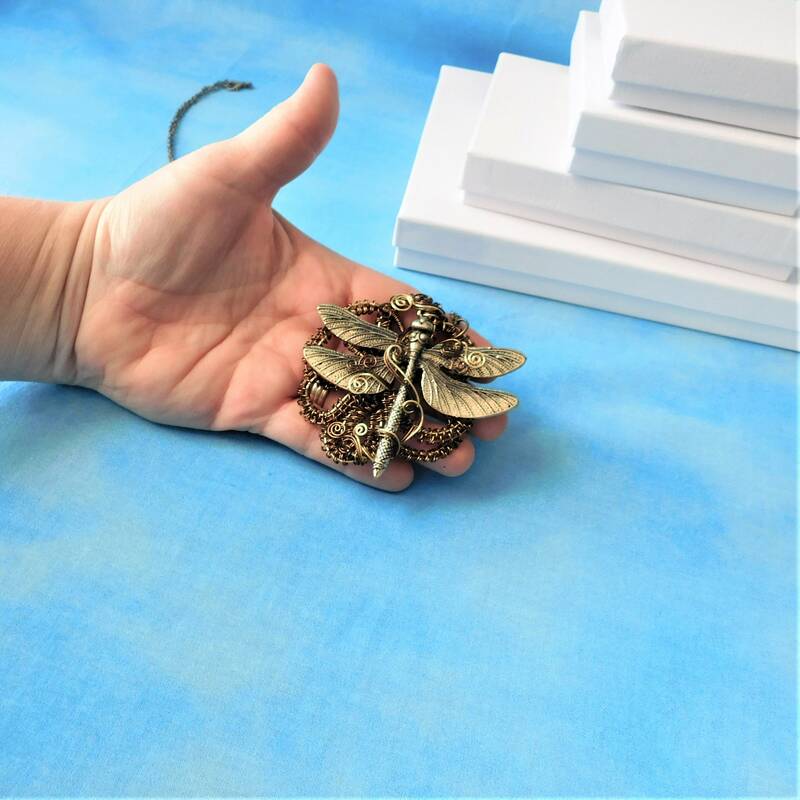 This is a substantial pendant that would make a statement with any outfit. 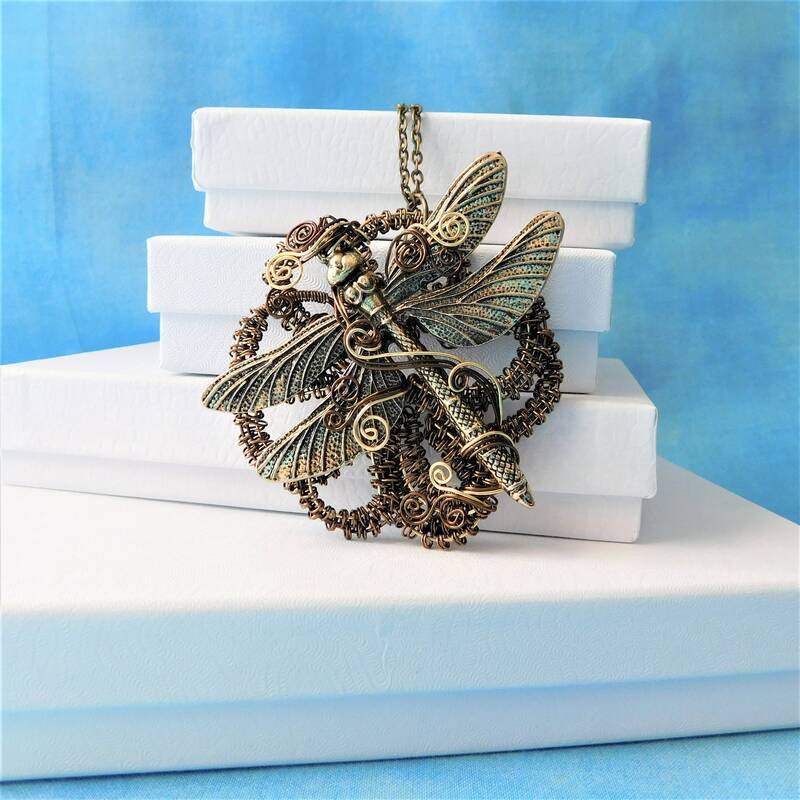 The pendant measures 3 inches by 3 inches and comes with a FREE coordinating chain, measured to your desired length.